More Shin Megami Tensei IV Final information from the 10-page feature in the upcoming issue of Weekly Famitsu magazine has leaked, this time from an interview with the game’s producer Kazuyuki Yamai. 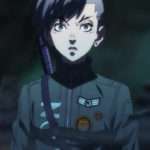 This follows the first character and story details for Shin Megami Tensei IV Final. 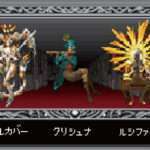 What are the circumstances behind Shin Megami Tensei IV FINAL’s development? 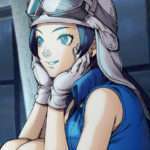 Yamai: We were wondering if there was anything we could do that’s characteristic of Maniax [makers of the enhanced version of Nocturne with Dante, and also Shin Megami Tensei IV] and as we investigated on what could be done, we realized that we just wanted to make a completely new title, and the development started there. Let’s use this occasion to make everything clear’—those are the thoughts that went into this title, and that’s why we put ‘Final’ in it. For the second, since it is a standard RPG, we want players to be immersed in the story’s ambiguous themes. To put it simply: the theme will be about establishing bonds with others, or exterminating everyone instead. About the return of Navarre. Yamai: We wanted to see him in again, and we expect that he’ll be able to expand on the drama, so we decided to have him make a reappearance. Kazuyuki Yamai subsequently talks about the development process for the game. 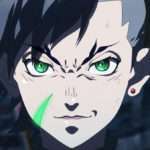 We’ve looked through plenty of fan feedback from Shin Megami Tensei IV, and improved on everything we were able to, and everything from key input to conversing with demons has been either revamped or improved. We focused on every nook and cranny to work on our goal of making it the number one RPG for the 3DS. 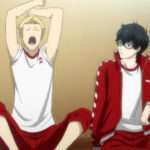 And the game will also have content that will make it enjoyable without any problems for even those that have yet to play Shin Megami Tensei IV.